As the author of 9 self-published books, including a few Amazon bestsellers, I think self-publishing is a fun and rewarding side hustle. The lightbulb moment for me came early on. I’d published my first book (on how to hire and work with virtual assistants), and I expected to sell a few copies through my website, which I tracked with my Amazon affiliate link. The surprising thing was almost none of the sales came through my site; instead they came organically through Amazon. Even though my first author royalty check was less than $50, I was excited. I’m a professional author! Someone (several people) bought my book! Since then I’ve published more titles and learned more about the writing, editing, and marketing process. One of my book projects generated 20,000 free downloads in its first week and went on to earn passive royalties for over a year. More recently, I launched a new book at $0.99 and it became a bestseller on its first day, and netted $2600 in its first month. 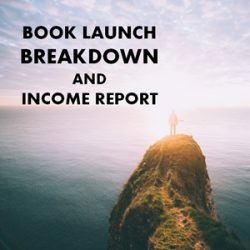 If you’d like to learn more about my book launch process, especially for non-fiction authors without a huge platform, check this link for a special offer on my Udemy course that walks you through the whole process start-to-finish. A year ago I launched my book Buy Buttons out into the world. It was my most ambitious book project to-date, and I put a lot of effort into the creation and marketing of it. The launch did well. The book became an Amazon bestseller on its first day and earned around $2600 in profit in its first month. But several people have asked how it’s done since then, and while I had a vague idea that it was still selling daily, I figured the 1-year anniversary would be a good excuse to dive into the numbers to see in concrete terms how profitable it’s been in its first year. 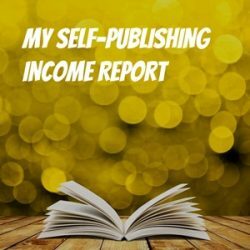 224: $5k a Month as a Self-Published Author – in Fiction! Derek Murphy is a world traveler, book cover design extraordinaire, and the author of a dozen different books, mainly in the young adult fantasy genre. A lot of the content and interviews on the Side Hustle Show has been related to non-fiction books, usually solving a specific problem or containing useful and practical ideas. Fiction is a bit of a different animal, and something Derek covers in detail over on his site at CreativIndie.com. 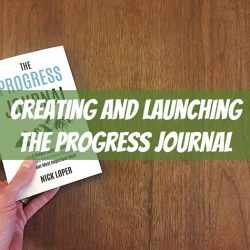 In this post, I’ll break down the entire writing and launch process, step-by-step, start to finish. 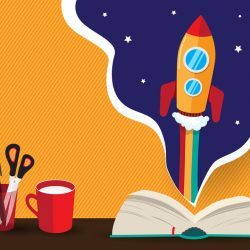 Last month I compiled a killer round-up post with book launch and marketing tips from 25 authors, entrepreneurs, and leaders in the self-publishing space. As you might have guessed, that subscriber was this week’s guest, Adam Houge. 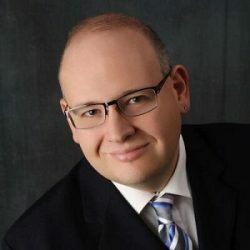 Tom Morkes has worked on the book launches for a number of previous Side Hustle Show guests, including John Lee Dumas, Dan Norris, Taylor Pearson, and Neil Patel. 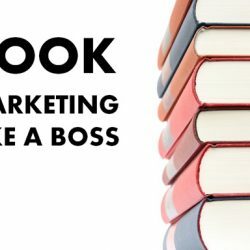 What I wanted to do in this conversation was reverse engineer some of the steps that go into producing, launching, and marketing a bestselling book, even you don’t have thousands of fans waiting for it. And selfishly, I wanted to get some insight on what I could do to make my latest book project, Buy Buttons, hit the top of the charts. Tune in to hear Tom’s top tips from more than a dozen different bestselling launches. On December 7th, 2015, I started posting answers on Quora.com every day. By the beginning of March — less than 3 months later — my answers had been viewed more than 500,000 times. This has more than doubled traffic to my blog, 10x’d my email sign-ups, and resulted in an increase in book sales. 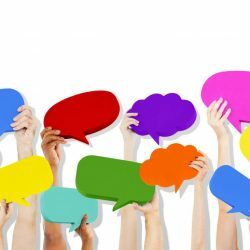 This post explores my tactics for using Quora to re-purpose old content, accelerate your authority, and rapidly build an audience. Since last November, Jon has masterfully experimented with 5 different avenues and built up a huge email list. All told, these different channels — that didn’t even exist a year and a half ago — are earning more than $20,000 a month!